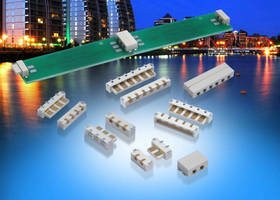 SMPS Capacitors minimize board space requirements. 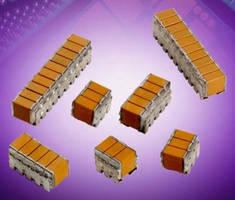 Polymer Tantalum Capacitors offer 10 ÂµF nominal capacitance. Insulation Displacement Connectors eliminate soldering. High Capacitance Tantalum Capacitors have low profile design. 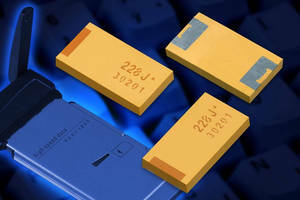 Multilayer Ceramic Capacitors handle temperatures to 150°C. Multilayer Varistor has high voltage rating of 85 Vdc. 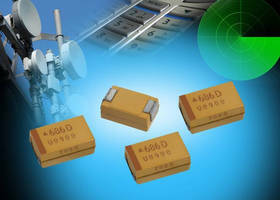 Multi-Anode Tantalum Capacitors offer low ESR. 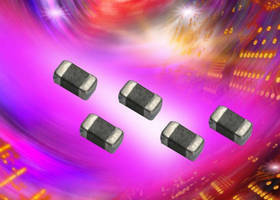 SMD Crystal Resonator provides 32.768 kHz nominal frequency. 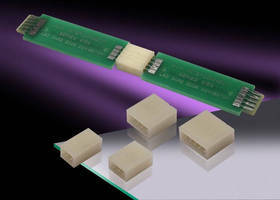 Single-Sided Lighting Connectors feature 5 A current rating. Board-to-Board Connectors are suited for LED lighting strips.